The CFZ has always had a soft spot for peculiar art projects, especially when said art projects have some sort of relevance to monstrous occurrences. So, it is with great pleasure, that we tell you about the latest project from our friend, colleague, and promoter of Weird Weekend North: Glen Vaudrey. He wants nothing more than to erect a 6ft high, bronze statue of Great Cthulhu on one of the Orkney Islands. Over the years, my friends have come up with absolutely bloody stupid ideas but this one completely takes the biscuit, and so I am massively proud to be able to throw the entire weight of the Centre for Fortean Zoology marketing team (me and Olivia) behind endorsing this remarkable project. It is said that when the stars are in position Cthulhu will return. If that’s anytime soon it might be a good idea to get on Cthulhu’s good side. Like the best of ideas this came to me in a dream. While Cthulhu is well known it appears that there is no large monument to celebrate HP Lovecraft’s greatest creation so I am looking for funding to place a bronze statue of Cthulhu in Orkney. You might be wondering why Orkney is the ideal place for this statue, it might be thought an unlikely location for the city of R'lyeh. However it does have a better case than many other places. The reason is that I have been researching reports of strange creatures and monsters in both folklore and written records from the isles and have found many of these reports are similar in substance to the works of Lovecraft with tales of people interbreeding with fish folk and islands that rise from the depths only to vanish again. If the funding target is met I, as an artist and sculptor, will design a 6ft tall bronze statue of Cthulhu which will be cast and then placed in a location in Orkney. The site will have full public access. Sadly casting large bronze statues isn’t cheap and that is why this fully costed appeal for funds appears high. If funds exceed the target for Cthulhu there are further plans. The concept design for the statue itself. Alongside is a 6ft tall figure to show just how imposing the completed work will be. If enough funds are raised this is the basic plan for the start of the sculpture park. 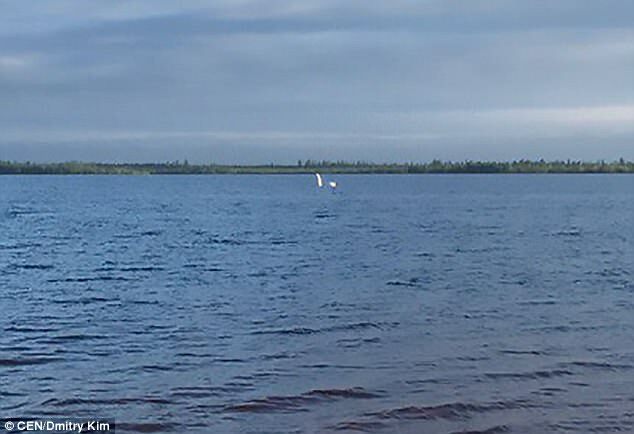 Nature lovers claim they have found the Russian version of the legendary Scottish Loch Ness monster. 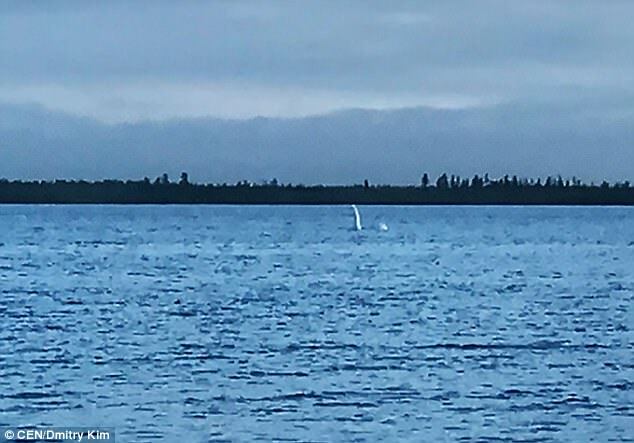 The supposed Russian Nessie - the mythical sea creature - was captured on camera in photographs showing what appears to be a white head and part of a body of a sea monster coming from the water. The photographs were taken at Lake Khanto in the city of Noyabrsk in north-central Russia's Yamalo-Nenets Autonomous Okrug region by a man out for his morning run. Yesterday was one of those days that if I could actually get away with telling you about, you probably wouldn't believe me. But many thanks to Rob and Sandy for bgeing sweetiepies, and to Corinna for putting up with me. I have been advised that I probably shouldn't mention the product by name, but there is a new budget vodka on sale at one of the major supermarkets that I would very much like to not recommend. It has a boquet with a tinge of ammonia and an eggy aftertaste, and it smells of acetone. Did I throw it away? Don't ask stupid questions.